Robert Kubica insists he is not regretting his F1 return, which has coincided in a tough start to the season for Williams. Robert Kubica says he has no regrets about returning to Formula 1, despite Williams’ difficult start to the 2019 season. The 34-year-old Pole finished three laps down in 17th in his first grand prix outing since 2010, having pulled off a remarkable recovery from severe injuries that initially cut-short his F1 career to return to the grid. But his comeback has coincided with a torrid start to the season for Williams. The British squad was left on the back foot after missing the opening two days of pre-season testing having hit delays with its FW42 car, which has proven to be the least competitive car in the field. 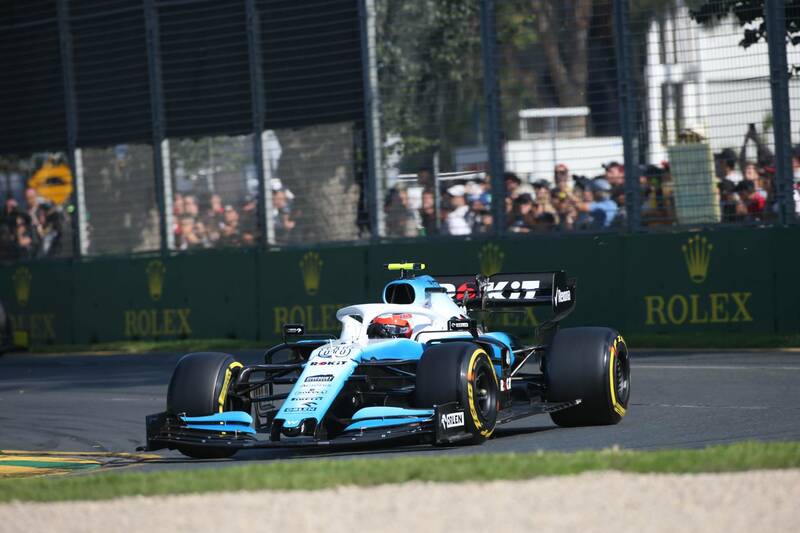 Asked if he had any regrets about his return following the Australian Grand Prix, Kubica replied: ”No - because in the end I took the decision after thinking for more than six weeks last year. "I knew it would be an extremely difficult challenge for me to be back in such a competitive sport and being on the grid, and I knew it might be difficult for Williams, but I didn't expect to come to Australia so unprepared. "Not from a physical point of view but from a lack of driving. For me, Barcelona was the most important days of the last eight years as a driver - although not as a person, when I was in hospital and couldn't walk. But a driver, there haven't been more important test days in my life from the driver point of view as Barcelona. "Unfortunately Barcelona didn't work out at all. So it put me into the difficult position, but somehow I have to go through them here, in Bahrain, and probably for a couple more races. "But I hope and, from what I can see, I think I cannot regret. Even if I struggled here [in Australia] I still enjoyed it, which is a big difference compared to long time ago. "I am not an emotional guy but after the race, it felt like a great achievement,” he added. While Kubica conceded he expects to always face doubts regarding his abilities, he insisted he will never regret the effort that has gone into his return. “Because of my limitation is looks like I have to show always more than the others as people are putting question marks and doubts,” Kubica explained. “The only thing I can do is try and do my job the best I can and try to leave all grands prix with positives and negatives, because I don’t believe there can be 100% positive things. You can always do better things, even if you’re winning races, you can always improve. “I’m honest enough with myself to judge properly and correctly what I have to learn, where I have to learn and where I have to improve. "I think only this approach brought me back to F1 and actually kept me fighting. Otherwise for me it would have been much easier six years ago to accept opportunities I have in GT3 or DTM, have even less stress, and probably have more fun with driving because I will be probably fighting for better positions.